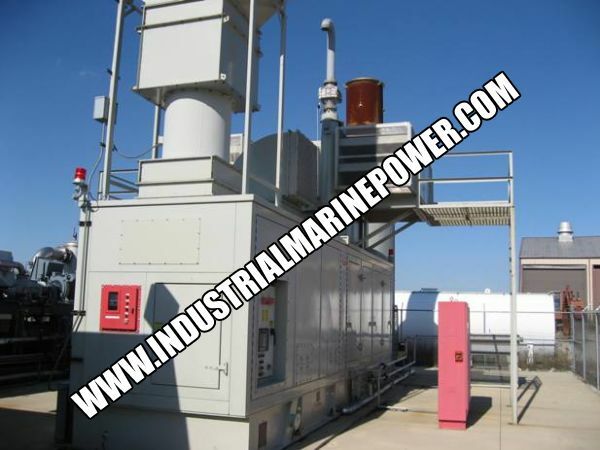 5.2 MW Solar Taurus T60 Land Fill Gas Turbine in enclosed sound attenuated outdoor enclosure. Fuel: Land Fill, Natural Gas, all low BTU Fuels, 4160 volt, 60 HZ, Only 4338 hours of run time. 107 starts, electrical controls, Switchgear, Fire control system. There is a separate container that houses facility computer, utility interface controls, switchgear (PCR Building), Spare cooler tube bundles for fuel gas and lube oil systems, Portable lube oil heater carts w/ flex hoses. Complete Package in good condition.